For this procedure ILabQC is the ideal tool! ILabQC allows clinical laboratories to evaluate the performance of their assays on the basis of a statistical analysis of QC data generated by the control manufacturer for Chemical, molecular and/or clinical immunochemical analysis devices. ILabQC collects QC data from different customer controls (from different countries) using the same batch of control material, the same type of analyzer and the same analyte. ILabQC evaluates your quality data according to different standards such as RiliBäk, SFBC, Wetgard etc. ILabQC captures QC data from almost any device via a hardware or software solution, or receives its QC data via standardized transfer formats (XML). 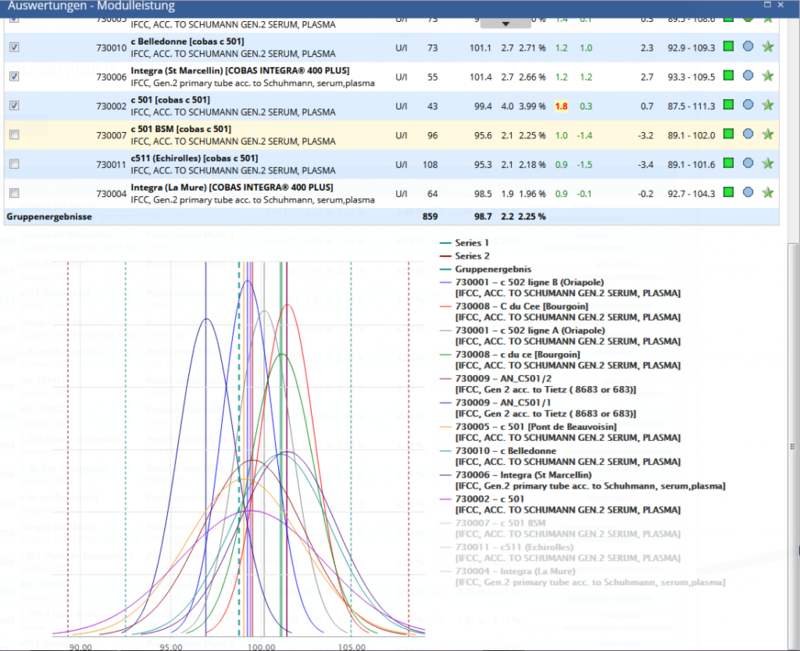 ILabQC Quality Desktop, a very user-friendly interface. ILabQC works as a desktop application and offers a variety of evaluation options with the simplest application. Graphical evaluations and a variety of listed evaltiations Help and support you by checking the quality of your lab. ILabQC is the most efficient and user-friendly quality control system for clinical laboratories. ILabQC is used worldwide as an instrument for accreditation of laboratories and keeps you informed!